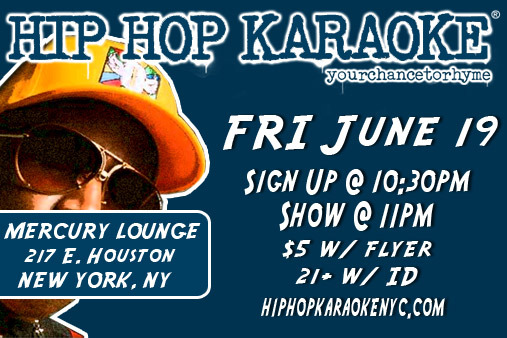 HHK is proud to announce that the next edition of HHK is going to take place at the famed Mercury Lounge! Yup, back to Manhattan for June edition! Friday, June 19th to be exact. We've had a great time in Brooklyn the last few months, and we'll be back, but we'd be lieing if we said we didn't miss rockin' HHK on the isle of Manhattan. Mercury Lounge is a venue that we've always wanted to do and we're excited that it was able to come to life for the June edition of HHK. We always look back with great fondness to the early days of HHK at Rothko. If you don't know about Rothko, check some of the early pics on the site. 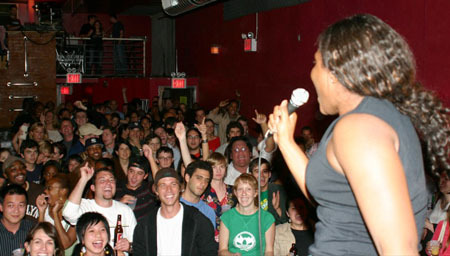 It was a 200-capacity music venue on the Lower East Side that had bright red walls, a tall stage, good sight lines, etc - but the real thing we loved about it was the feeling of community that comes to life in a room of that size. That's not to say we haven't had that feeling in some of the larger venues we've been in, but there's something special about the 200-250 capacity. So with that said, we're really looking forward to doing Mercury Lounge - it's 250 capacity, has great sound, great sight lines, two bars, and an ample stage. It's going to be one of those nights where people bring their a-games... I can feel it. Get there early, seriously. 250 people, that's it. Little known fact, Dec 2003, Diggedy and I played a show there under the name "Perfect Strangers". We absolutely MOVED all 37 people in attendance. oh, print the flyer. it's five bucks with the flyer printout at the door, $8 without it. so print the flyer. Very pumped for this one. So am I! Ma and Pa Downey will be in town -- Young Downey's musical "The Trouble With Doug" opens the week before (not about Scooter) -- so I'll def roll down after the bows, perhaps with parentals in tow. Sometimes, parents just do understand. Sorry I missed the last one. My wrist is healing apace.